You can always have the continuous live output and use as a normal camera with its rich image quality generated by the 3-chip CMOS technology. The industrial standard interface is applied for OCP and Slow Motion Controller of Hi-MotionII. Operators will have no difficulty getting used to it. 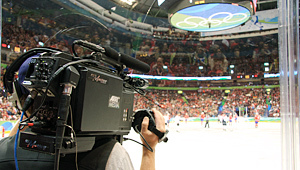 EVS Multicam LSM can be used as well as the dedicated controller, and no additional operator is necessary. The character information of the settings on each Monitor Output can individually be set for cameraman, OCP operator, and Slow Control operator. 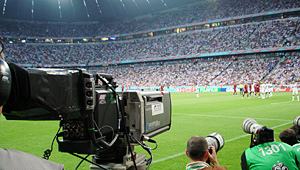 For example, a cameraman can have the information as less as possible in order to concentrate in shooting. An OCP operator can have the information related to image quality and exposure information such as scanning mode, shutter speed. 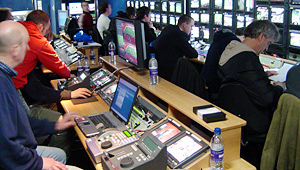 A Slow Control operator can have the information related to recording and playback such as trigger mode, Block Recording status, and time code.